Taj Mahal at Night - The Taj Mahal is regarded as one of the most romantic monuments in the world to honor love and companionship of Shah Jahan and Mumtaz Mahal. 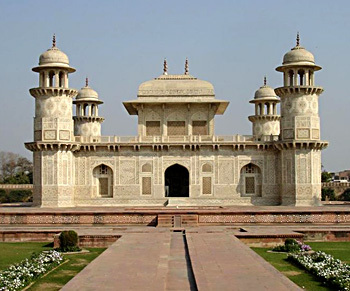 Built by the Mughal Emperor Shah Jahan after the demise of his much-loved wife Mumtaz Mahal, this white marble mausoleum is considered a monument of everlasting love. Lovers from across the world, come to see this architectural marvel and admire its radiant beauty and get mesmerized by it mysterious charm. The white marble surface of the Taj Mahal changes its manifestation with the passing of the seasons. 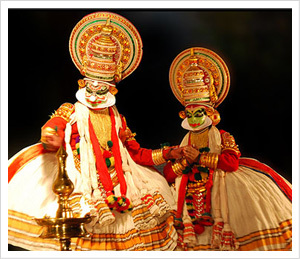 It glows brightly in the sunlight in summer and reflects the grey-clouded sky during the monsoon. Under the light of the full moon however, the Taj Mahal is said to reveal its paramount charm - shimmering like a fairy tale castle built for a legendary princess. Tourists are now allowed to view the Taj Mahal by moonlight. The dome is made of white marble, but the tomb is set against the plain across the river Yamuna and it is this mystical backdrop that works its magic of colors that, through their reflection, change the view of the Taj. The colors change at dissimilar hours of the day and during different seasons. Like a jewel, the Taj sparkles in moonlight when the semi-precious stones inlaid into the white marble on the chief mausoleum catch the glow of the moon. 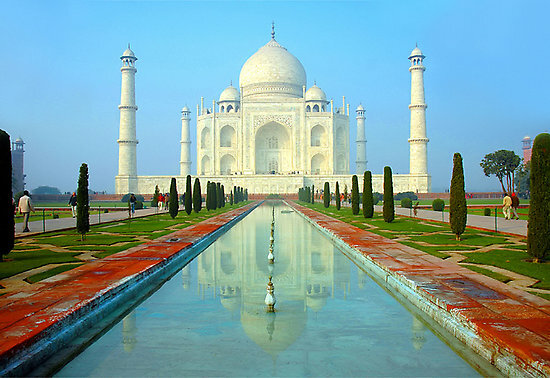 The Taj looks pinkish in the morning, milky white in the evening and golden when the moon shines. These changes, they say, symbolize the special moods of woman. Visualizing the Taj Mahal by moonlight is truly an unforgettable sight. 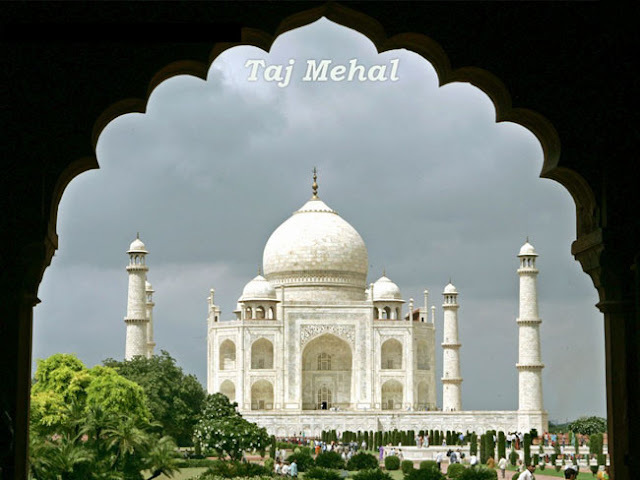 The enchantingly stunning Taj Mahal, a monument of love, purity, and is a must visit place once in a lifetime preferably in the company of a loved one.Taj Mahal is sheer poetry in white marble. Majesty and magnificence, unrivaled. The Taj Mahal, the one and only one of its kind across the world looks stunning by the moonlight. Morning pick up from the hotel, transfer to New Delhi Railway Station to board the super-fast air conditioned Shatabdi Express train to Agra. Shatabdi Exp. departs New Delhi Railway Station. Breakfast in the train. After 02 hrs. Journey arrive Agra, Pick up from Railway Station. & transfer to hotel for the use of Rest Rooms etc. & introduction to the Guide. Visit the magnificent Taj Mahal - A white marble Tomb building 1631 - 1648 in Agra, seat of the Mughal Empire by Shah Jahan for his wife, Arjuman Banu Begum, the monument sums up many of the formal themes that have played through Islamic architecture. Its refined elegance is a conspicuous contrast both to the Hindu architecture of pre - Islamic India, with its thick walls, corbelled arches and heavy lintels and to the Indo Islamic styles, in which Hindu elements are combined with an electric assortment of motifs from Persian and Turkish sources. Visit the Agra fort - situated on the banks of Yamuna river, north west of the Taj Mahal, this majestic fort was started by the Emperor Akbar and it developed as a strong hold of the Mughal Empire, under successive generations. 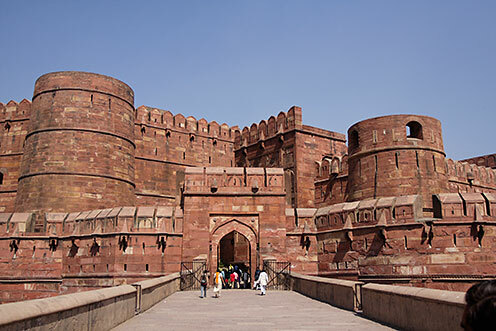 This majestic fortness of red sandstone encompasses with in its 2.5 km long endosure walls, the imperial city of the Mughal rulers. It comprises many visionary palaces, such as the Jahagir Palace and the Khas Mahal, built by Shah Jahan, audience halls such as the Dewan I Khas and two very beautiful mosques. Transfer to a Five Star Hotel for buffet lunch. Visit Fateh Pur Sikri - The Imperial city of the Mughal dynasty. It is very difficult to express the architectural grandeur city as one can only experience the aura of these forts. 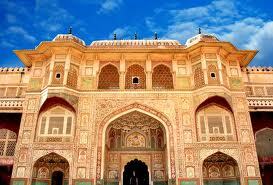 Famously known as the city of Ghosts, it was built by the great Mughal Emperor. Fateh Pur Sikri is a place worth visiting to discover how once the city could have been which has now turned into ruins, situated 26 miles west of Agra, it was build at orders of the Mughal Emperor Akbar. The buildings at Fateh Pur Sikri blended both Islamic and Hindu elements in their architectural style. 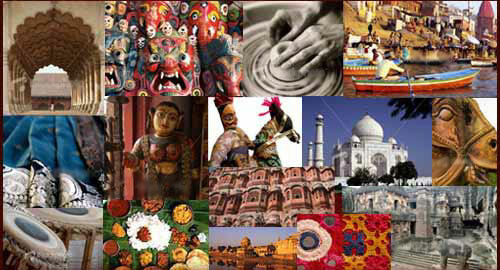 Free to explore the Agra’s rich heritage of handicrafts or Free at Leisure. Transfer to Railway Station to board the superfast Shatabdi Express train to Delhi. Shatabdi Exp. departs Agra. Dinner in the train. Arrive Delhi & Pick up from New Delhi Railway Station. & transfer to the hotel. 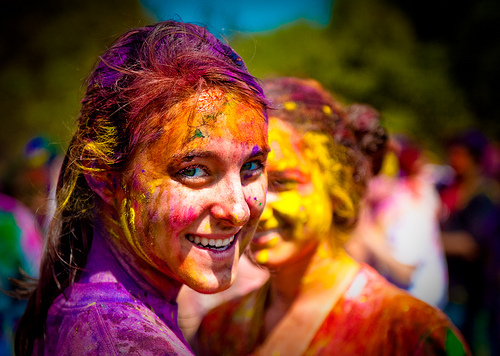 Golden Triangle India : Enjoy Indian Culture and its Rich Heritage.